Katy Perry, stunning as always. Ladies and gentlemen, meet Kathy Beth Terry, otherwise known as Katy Perry’s response to Rebecca Black. 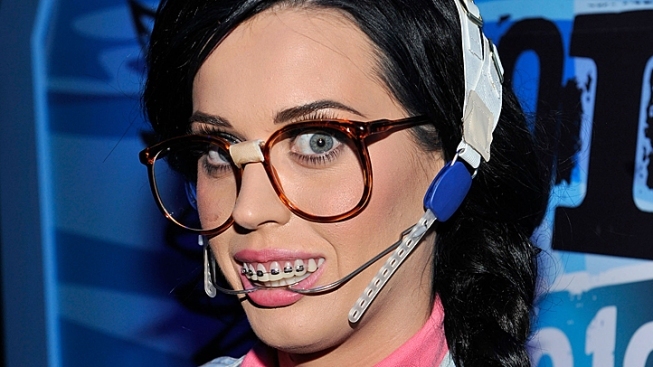 It seems like the sugary pop star has temporarily turned in her “E.T.” tendencies for taped glasses and a night brace. Her new single, “Last Friday Night,” chronicles a wild teenage party. Not unlike the classic teen movies of the 1980’s, the video plays out like some sort of candy-coated John Hughes meets “The Hangover,” where Katy—er, Kathy, is a hopeless cross-eyed nerd trying to figure out why there’s a chicken in her bed. The video is chock full of cameos, featuring everyone from Hanson to jazz saxophonist Kenny G (“Uncle Kenny”). Viral sensation Rebecca Black pops up to witness how a slightly more risqué star handles her favorite day of the week. Other familiar faces like “Glee’s” Darren Criss and Kevin McHale pop up. The video is below, in all its day-glo glory.